If there was one word to describe Italian Anna Cavallaro's performance at the Madrid leg of the new FEI World Cup™ Vaulting series, then this would be it. 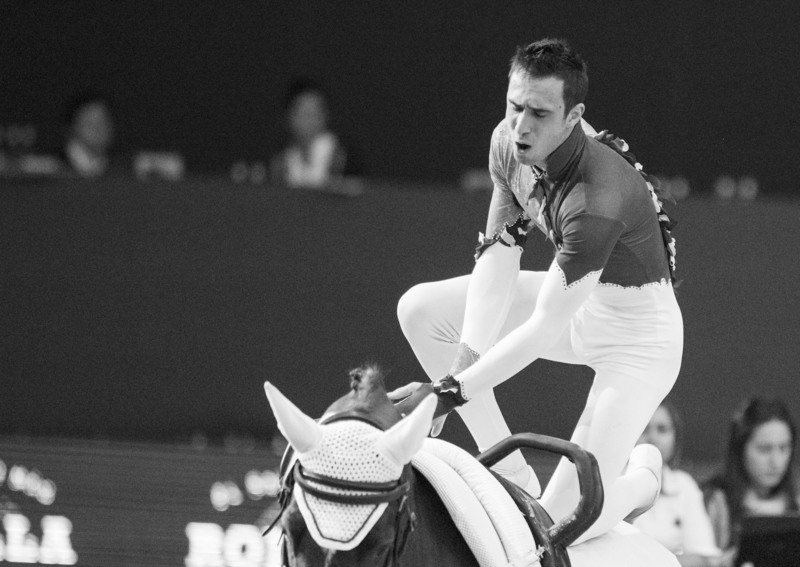 The World Cup returned to Madrid Horse Week after its début last year to provide an incredible spectacle headed up with a top-class vaulting line-up, including multiple medal winners from past series. Throughout the competition, the favourite Cavallaro proved untouchable, finishing on a final score of 8.423. In her first season with 10-year-old Monaco Franze 4, she showed that together they could be formidable lunged by Nelson Vidoni, who consistently gained horse scores in excess of 8. Four horses for eight athletes made the journey to Spain’s capital, which meant that with only Cavallaro vaulting on her usual horse, quick adaptation was needed for the rest who had to perform routines to the highest standard. Performing to Anastasia’s ‘Once upon a December’ under the lights of Madrid Horse Week, Cavallaro was able to show off her great strength and precision, evident in her effortlessly perfect split jumps. ...with Monaco Franze 4, as she laid down the gauntlet for the female athletes going into the series. Competing on borrowed horses, and with just a short training day before the start of competition, four female athletes battled to the end. The four male athletes, also competing on borrowed horses, all posted exceptionally high scores above 8. The top spot was closely fought between Switzerland’s Lukas Heppler and Germany’s Jannik Heiland. 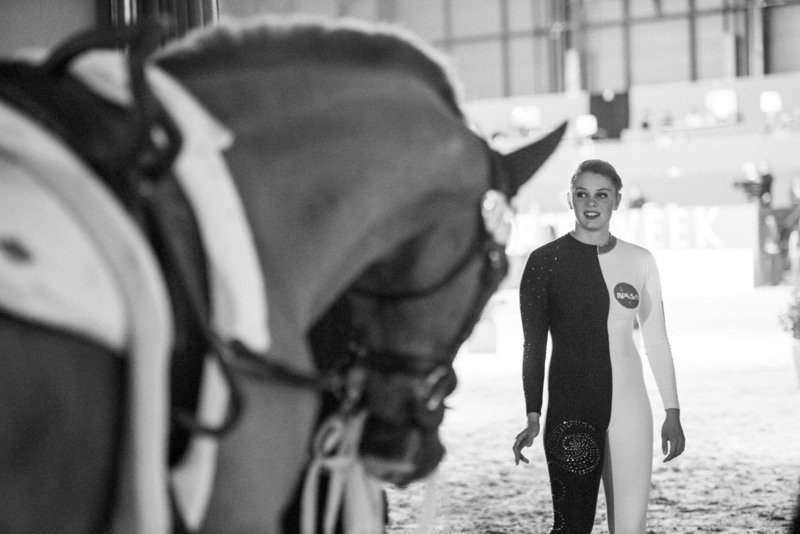 They both competed on Monaco Franze 4 - now recognised as one of the top scoring horses in the sport and in its first FEI World Cup™ Vaulting series - and were lunged by Nelson Vidoni. Heppler’s artistic aspect of his performance, with strength moves constantly tight and soft on the horse, is one to watch this series as he develops his own unique style of vaulting. Defending FEI World Cup™ Vaulting champion Daniel Kaiser from Germany once again teamed up with lunger Diane Fraser and Simbal, the combination that won the Madrid qualifier last year. His Houdini routine caught the eye of Swiss artistic judge Anita Flamand Prochaska who awarded him 8.950 on the first day of competition, but lost a few points after touching down after his dismounts, dropping to 3rd place. He's still one to watch though as the competition heats up, so check back here where we will be bringing you up to date info, results and amazing photography throughout the series.